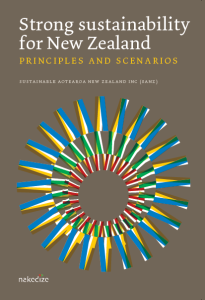 …very stimulating, and a really useful way of bringing sustainability into the minds of New Zealanders in a hard hitting and realistic fashion. …the arrival of [this] new report…is welcome. Perhaps if we were more comfortable having these kinds of conversations, we could skip the chaos and turmoil of waiting for disaster to alter our course. Humankind is neglecting its own patch, with dire consequences. Put simply, we are drastically degrading the life-support system (the biosphere) on which we rely. That system can support only so much life, and while we may never know its precise capacity, we do know that right now we are reducing that capacity, and mostly in irreversible ways. Our over-consumption of non-renewal resources, combined with our disregard for and disharmony with our shared environment, means that our offspring are inheriting a shrinking, ailing world. This booklet answers two questions: What does true sustainability look like and how can we get from here to there? 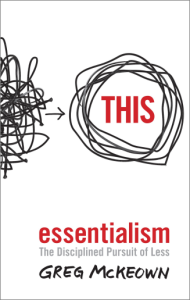 The authors are emphatic that any variation on ‘business as usual’ won’t cut it. The crucial changes required for sustainability are a radical (though not uninviting) shift to a new set of societal ethics, values, and ‘world views’, as well as a major overhaul of economics and approaches to population growth. At just 52 pages, this is an easy-to-digest summary of realities we must face, changes we must make, and opportunities we should embrace. Handily, the back cover of the booklet features the definition of strong sustainability and a tool to help you to identify if your activities are ‘strongly sustainable’. I. Sustainable Aotearoa New Zealand. Page 15 (in the yellow heading): The word ‘utilitarianism’ is misspelled. Back cover: The second phase in the Beyond the Threshold tool should be ‘less unsustainable’, not ‘less sustainable’.